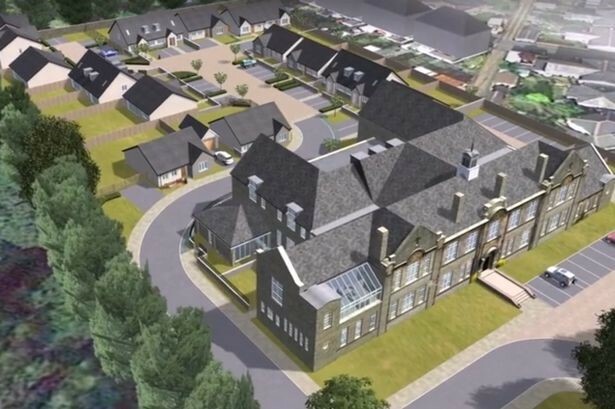 In January 2017 Rhonnda Cynon Taf County Borough Council granted permission for the redevelopment of Aberdare Girls School to provide 26 no. flats and 18 no. new build houses. However, the site was subject to a restrictive covenant which prevented the property and land from being used for anything other than a school or recreation ground. The covenant date from 1908 when the site was sold by John Marquis of Bute and Earl of Dumfries. Under the Law of Property Act, Section 84 permits the discharge or modification of covenants. Alongside Hill Dickinson, as legal counsel, and other professional input, we sought to remove the covenant on the basis that it was deemed obsolete and / or that the value or advantage provided by the covenant were de minimis which would impede some reasonable user of the land. In addressing both parts of Section 84 of the Law of Property Act we prepared and submitted a Historical Site and Surrounds Assessment which sought to outline the context within which the application was made and provided a detailed examination of the historical development of the area surrounding the site from 1908 through to the current date. From undertaking this assessment, we considered that the character of the area surrounding the site had somewhat changed since 1908, from a predominant agricultural use to its present date residential character. As such, the covenant was considered to be obsolete in our view as it no longer served the purposes which were intended when it was entered into. Moreover, given that the LPA granted planning permission for the development and that limited practical benefits are secured by the covenant it was considered that a modification or alternation to the covenant was appropriate. Following the work noted above and input from other parties, the covenant on the land has now been modified. As such, the site can now be built out as per the approved planning permission.